We attach a certain magic to islands, as we do to other remote natural areas – mountains, remote seashores and the like. We regard them as special places, places apart, places where we may be in more intimate contact with nature, places of beauty, of wildness, of ruggedness, of challenge and of success against the odds. We see romantic sunrises and sunsets over a serene turquoise sea, gentle hills, sandy beaches, blue lagoons and picturesque lighthouses beaming their friendly light over a peaceful scene. We don’t see the winter storms and gales, the pounding waves, the cancellation of the ferry in dangerous weather, the inconvenience of children travelling to the mainland for schooling, perhaps the lack of local banking facilities, local post office, local supermarket, local doctor and local hospital. Life on an island is oftentimes very satisfying and beautiful but it is not without its difficulties and so it is with making a garden on an island – it is not without its challenges and success only comes after great effort. When we realise this, we can appreciate island gardens all the more. That said, some islands provide gardening conditions which are the envy of many mainlanders. The Abbey Garden on Tresco, in the Scilly Island, is a particularly striking example for, with its exceptionally mild conditions, many plants which would not survive outdoors elsewhere seem to thrive there – aloes, puyas, proteas and aeoniums, for example – though there is always that niggling fear of vulnerability and there have been occasions when the entire garden has been wiped out by an unexcepted and exceptional frost. It is gardening on the edge, exciting and precarious and a special treat to visit. The islands of Arran and Bute benefit from the ameliorating effects of the Gulf Stream and have attracted wealthy gardeners over the years to establish significant gardens with outstanding collections of plants – rhododendrons a speciality. Likewise, Brodick Castle, the home of Lady Marie Louse Hamilton, later Duchess of Montrose, who gave us the fabulous Rhododendron montroseanum, can grow echiums, agaves and bananas in the open garden (though, this latter is wrapped for winter protection). It receives 82 inches of rain annually but only light frosts. Though wind is a major consideration for gardeners of all islands, those who garden on the Inner and Outer Hebrides have more to contend with than others. 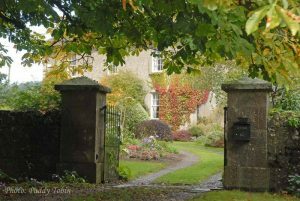 Here, it is impossible to plant trees as shelter beds – they simply do not survive – but strong wells and lower hedges give sufficient shelter for the brave and determined gardener to succeed in developing beautiful, different, and very interesting gardens. Distance and remoteness lead to self-sufficiency, and ingenious use of whatever resources nature provides – the flotsam and jetsam of the shoreline and the bountiful harvest of seaweed as a soil conditioner. That these gardeners succeed at all is a wonder; that they succeed and develop gardens of beauty and interest is a marvel indeed. 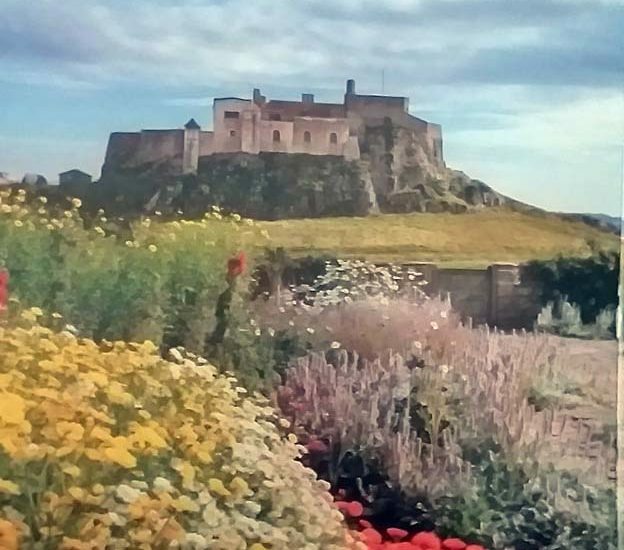 Jackie Bennett explores seventeen of these gardens in her “Island Gardens – Havens of Beauty around the British Isles”. In the course of her research she travelled 7,500 miles with photographer Richard Hanson and presents a very enjoyable record of those travels and of the gardens visited in this volume. It makes a very pleasant, interesting and enjoyable read and, for me at least, a longing to visit some of these remote places for the natural beauty of the areas alone are an attraction and the gardens would be very special treats indeed. Well worth a read!